Vancouver, BC, Canada – Sept 27th, 2018 – Equitorial Exploration Corp. (TSX-V: EXX, Frankfurt: EE1, OTCQB: EQTXF) (“Equitorial” or “Company”) announces that it will carry out a fall field program in the next weeks to map and sample the area surrounding the recently discovered Cat Tail Pegmatite at its 100%-owned Cat Tail Lithium Property directly adjacent to Quantum Minerals’ Cat Lake Mineral Project. 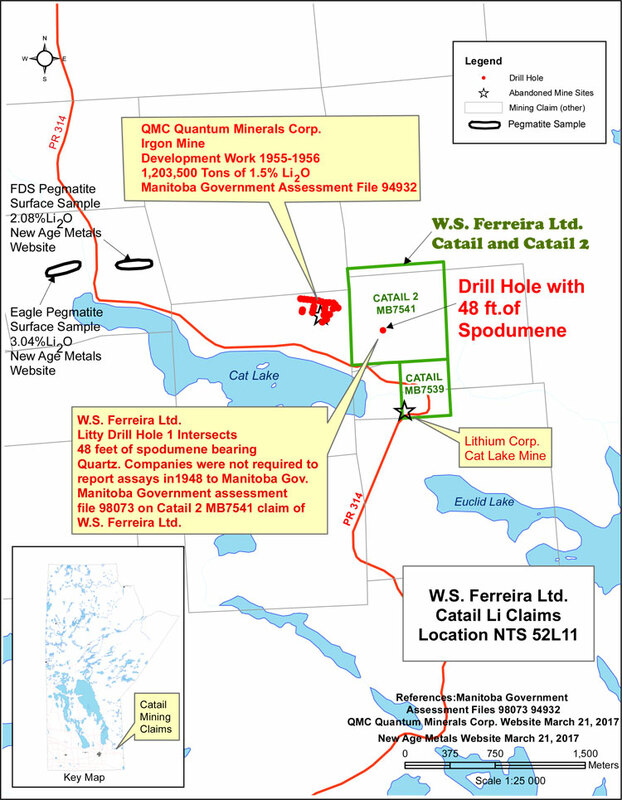 A significant spodumene (lithium mineral) bearing pegmatite (Cat Tail Pegmatite) was encountered in four of the drill holes. Prior to being drilled, this pegmatite was buried with no surface expression.